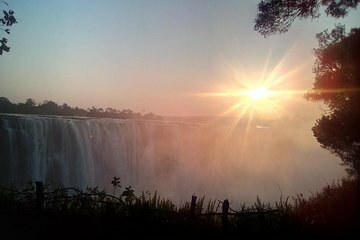 Beat the crowds and get a first-hand peek at Victoria Falls at its most stunning during this exclusive sunrise tour. Excursions are specially timed to catch the best morning light—and even a misty rainbow rising from the foot of the cascade. Tours include lodge or hotel pickup and enriching commentary from your guide on the history of the falls and the people who call it home.